As Florida’s Gulf Coast, Georgia, and the Carolinas brace themselves for Hurricane Michael, which is expected to make landfall as a category four hurricane, Wright Flood is reminding property owners of key tips for remaining safe during the storm. The storm is expected to hit the Florida Panhandle this afternoon, continue toward Georgia and then potentially the Carolinas, where recovery efforts following Hurricane Florence are still underway. If you have already received a shelter in place order, please remain indoors until officials determine it is safe to go outside. Review your supplies to ensure you have everything you’ll need to weather the storm and its aftermath. Evacuate if asked to do so, and it is still considered safe to do so, taking your supplies with you. If you haven’t done so already, shore up your home by boarding up all windows or install storm shutters, moving items inside, anchoring down items remaining outdoors. Property owners that suffered damage from Hurricane Florence, should take special care to access how that damage impacts the safety of the home or business and those around it, removing as much remaining debris as possible before evacuating. Wright Flood has thousands of adjusters waiting in staging areas along the path of the storm, so they can react quickly to claims once the storm hits. Agents also remain on the ground in areas impacted by Hurricane Florence, helping families get back to their lives as soon as possible. 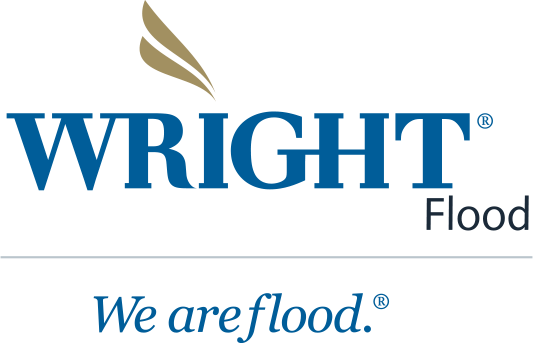 For support, information on a claim or policy, or to file a claim, policy-holders can call us at 800-725-9472, text CLAIM to 727-777-7066 or contact us through our online Wright Flood customer portal at wrightflood.com.